Here at SR Security Services Limited we take your privacy seriously and will only use your personal information to administer your account and to provide the products and services you have requested from us. Your information will never be used for marketing purposes. SR Security Services Limited will be the data controller for the purposes of the General Data Protection Regulation. Information which is supplied to us is subject to confidentiality and will not be disclosed otherwise without your consent. We will not ask you for any more information than we need and we will not keep your information for any longer than we need to. Please bear in mind that we may hold your records after your appeal has been considered as we are required to have an effective audit trail and to comply with regulatory and legislative requirements. The General Data Protection Regulations give you the right to access information held about you. You can access personal data we have about you by writing to SR Security Services Limited, 4 Thatchmoor Farm, Broad Lane, Lichfield, Staffs, WS13 8QH. All requests will be responded to within 1 month of receipt. We reserve the right to charge administration costs if the request is deemed to be excessive. We take care of your personal data by having security which is appropriate for its intended use and he harm which might result from a breach of security. We acknowledge that transmission of information via the internet is not completely secure. Once we have received your information we will use strict procedures and safety features to try to prevent unauthorised access. 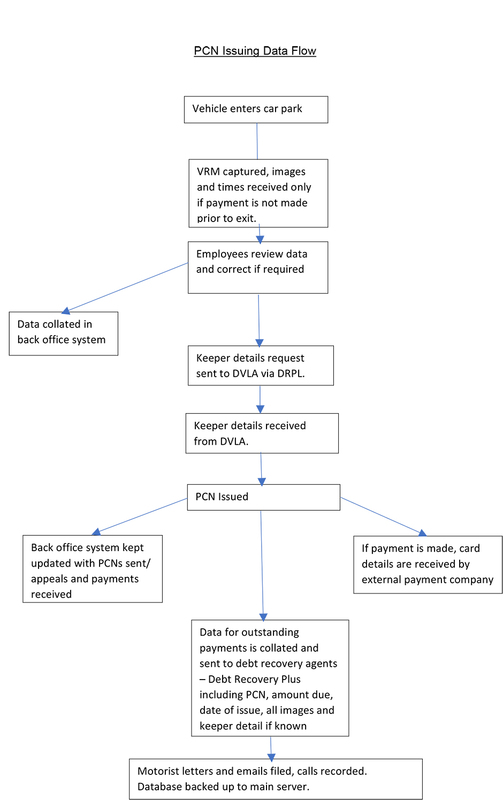 This information is subject to confidentiality and will not be disclosed without your prior consent other than in line with the purpose of your appeal/ account resolution, whereby it may be necessary to share data with the BPA, DVLA, POPLA, print and mail service providers, email service providers, collection agents or any other authorised subcontractors. By submitting your appeal, you consent to the use of the above information as defined in this Privacy Statement. Any personal data which you enter via the payment processor will be collected and processed by the payment processor to enable them to process the payment. Information will be used for the purpose of locating the relevant parking charge notice number, allocating the payment and updating the status of the account. SR Security will only process information you supply whilst making payment of your parking charge including your name, postal address, parking charge notice number and email address. 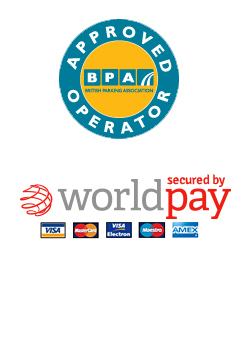 Card details are directly processed by the payment processor and are not collected nor accessible by SR Security. If you believe that your personal data has been obtained inappropriately or has been used in an unauthorised manner please contact us in the first instance. If you are not satisfied with our response you may contact the Information Commissioner’s Office in writing at Wycliffe House, Water Lane, Wilmslow, SK9 5AF. Company registration number: 06646129 . © 2014-15 SR Security Services. All rights reserved.